(Halifax) In honour of 2012 being designated as the International Year of Co-operatives by the United Nations, Atlantic credit unions have awarded eight (8) special one-time $1,000 bursaries to Atlantic post-secondary students: two bursaries in each province. We hope to have photos of all our winners soon to post. 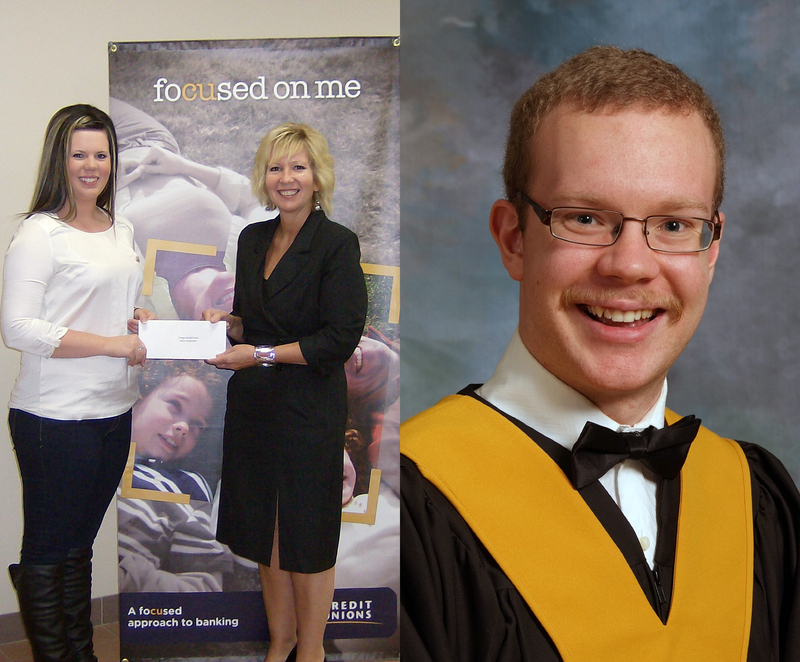 Two of our Special 2012 IYC Bursary Winners, PEI’s Sara Paynter (accepting her award from Consolidated Credit Union’s General Manager Sarah Millar), and NS’s Gavin Fraser, a member of Bergengren Credit Union. Both successful and unsuccessful applicants have been contacted. Students are reminded of the Atlantic Credit Unions Bursary Program for college students, as well as the Credit Union Scholarships & Bursaries offered at individual credit unions all across the region.